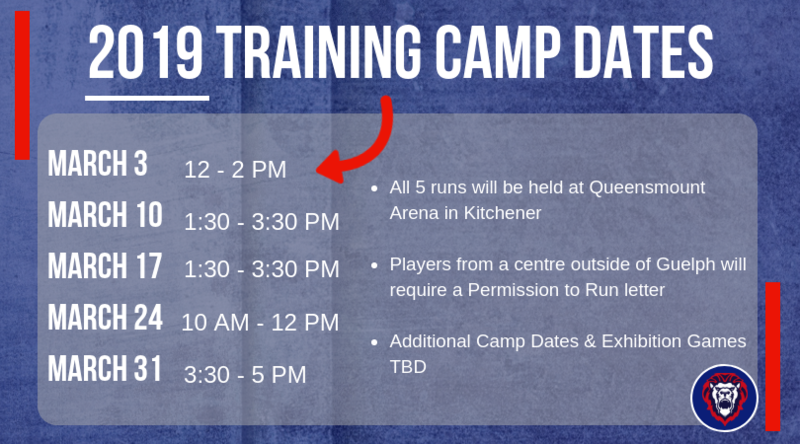 The Guelph Jr. B Regals Lacrosse Club announced its first 5 dates of training camp for the 2019 season. The club will hit the floor for its 28th season on Sunday, March 3, when new head coach Al Burton will have his first look at his new team. Burton, who had previously been at the helm of the Oakville Buzz Jr. B team, rounded out his coaching staff this week with two assistants that will be formally announced in the coming days. The Regals are anticipating a competitive camp with several position battles. “My philosophy is to ensure that everyone is competing hard for positions, whether you’re a veteran or rookie,” Burton said. Additional camp dates and exhibition games will be announced in the near future. The camp is open to all interested players who were born between 2002 and 1998. If you are interested in attending the camp and do not reside in Guelph, a Permission to Run letter will be required from your home association before being permitted to step on the floor. If you have any questions, please contact GM Matt Pelkey at pelks19@yahoo.ca. The first “Junior” league to begin play is the Ontario Junior B Lacrosse League (OJBLL) and the majority of teams have begun shaking off the cobwebs. Players have started to battle it out for roster spots at Training Camps and fans will soon be able to get their lacrosse fix with exhibition games! There are several pre-season Jr B tournaments taking place this season, and it all begins on Easter Weekend in Six Nations. Each tournament will feature shortened games with the exception of the Green Gaels Tournament on April 7, which will play full-length contests. 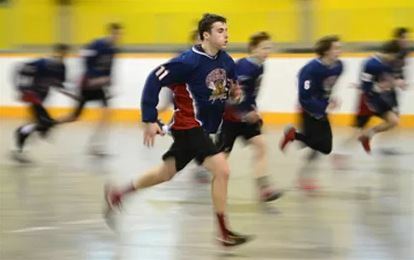 KITCHENER – The Guelph Regals figure on being a young squad in this Ontario junior B lacrosse league season and they hope to use that youth to increase their speed and aggression. Read the entire article by Rob Massey on the Guelph Sports Journal here.